Home Events What is this? Art imitating life? Toooooooooo funny. 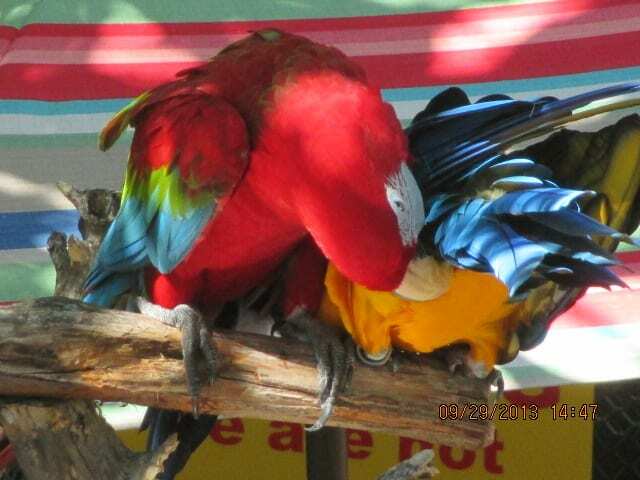 Today was all about sprucing up the outside visitor area here at our exotic parrot rescue, M.A.R.S. I was going about my task of carefully placing some very colorful artsy pieces, all purchased from a recent estate sale and by chance glanced upward. 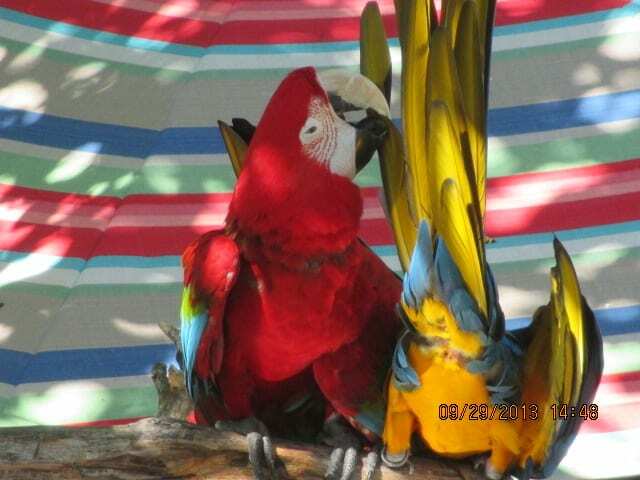 Paco and Woody were high up on their favorite perch preening each other and enjoying some out of the aviary sunshine time. I always get them out if I am on property, because they simply protest to much if I do not do so. I soon laughed and realized, if this isn’t life imitating art, or art imitating life however one should say it , I don’t know what is. 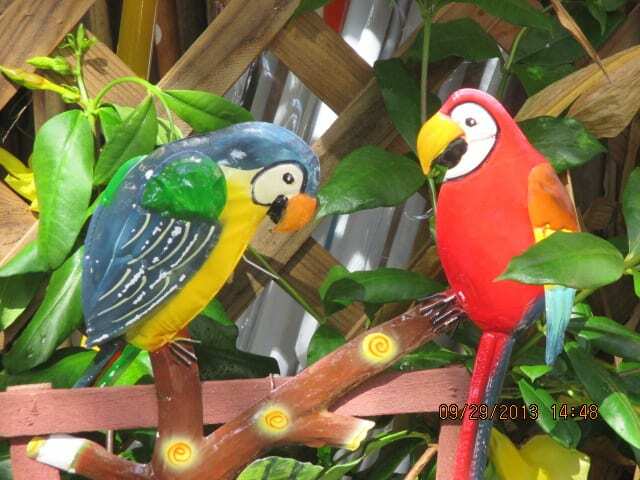 Obviously with all the colorful parrots we have here at Melbourne Avian Rescue Sanctuary, we are fortunate enough to be surrounded every day by a rainbow of color. But hey, a little more added here and there never hurts. 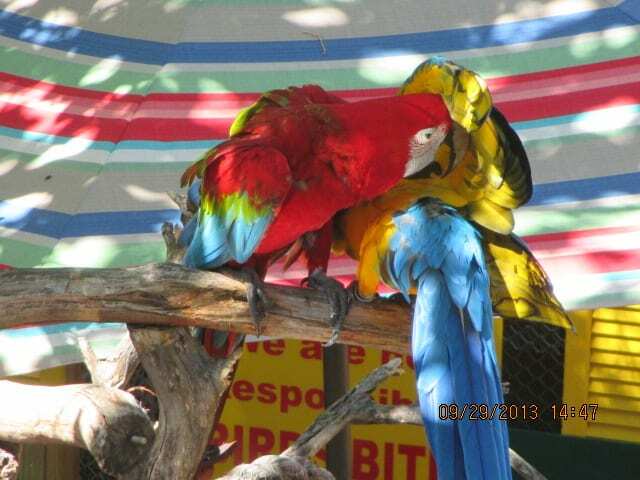 It just adds to the ambience of our Florida Parrot Rescue M.A.R.S. Come and visit on one of our open to the public days. Monday, Wednesday and Saturday, unless a special event is scheduled off property. Check for updates on our facebook.com/marsparrots page.